The club are all ears. This week they launched a search for fans to become involved in a new Supporters Steering Group. The group will meet on a quarterly basis with senior officials at the club, including the chairman when he’s available. The group’s remit is to become a vehicle for two-way communication between the fans and the club. Fans will be represented by people from online forums, ‘selected’ supporters groups and club historians. The club are also looking for a season ticket holder from each of the stands and an away season ticket holder. You can apply to be one of these representatives at the first meeting in early November, through the club website. So is this real engagement with the fans? Well it’s definitely a start. Although there won’t be many fans in the steering group it’s light years away from the void of communication of the Dave Allen era Even under Milan Mandaric we were issued with plenty of chairman’s statements but not many outlets for us as supporters to have our say. We’re an untapped resource for ideas. There are new initiatives happening at the club such as showing ‘beam back’ away games to fans in the 1867 Lounge. Despite a couple of first night technical hitches viewing the QPR game on Tuesday, it’s a great idea for non-travelling fans to be able to watch the game and for the club because it brings in further revenue. If these are the sorts of simple but effective ideas that come out of the Supporters Steering Group then bring it on. 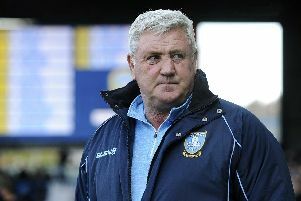 We all have a vested interest in making Sheffield Wednesday a success.